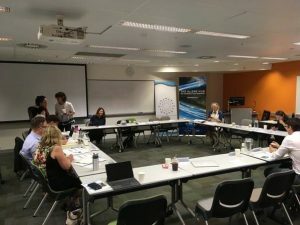 Dr Michael Guihot was invited to present his paper ‘Elegance and Waste: Heat Loss as Waste in the Digital Age’ at a symposium at UNSW in December held as part of UNSW Law’s project Digital Humanitarianism: Law and Policy Challenges. The theme for the symposium was about rethinking the relations between data (information, knowledge, value) and waste (junk, trash, spam). Michael’s paper looked at heat loss in data centres as digital waste that is hidden behind the elegance of new technologies and further obscured by the big tech companies that can control the discourse. Other presenters came from NYU Shanghai, Berkeley, and the University of Alberta. The project is run by Fleur Johns and the symposium was supported by the Allens Hub. Michael’s current research focuses on Artificial Intelligence, Robots and the Law and he is currently co-authoring a book by that name. Michael’s research investigates the intersection of new technology and law, including the regulation of artificial intelligence, and the impact of new technologies on power and governance including how changes in global power structures affect private and public governance, and the impact of new technology on legal institutions. 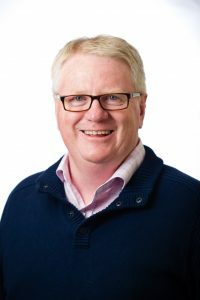 Learn more about Michael and his publications in his staff profile.